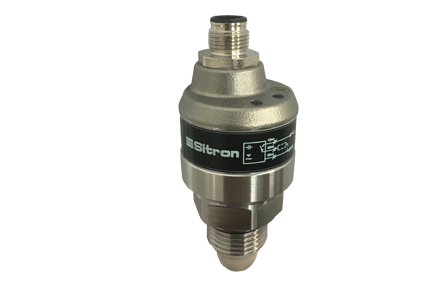 Sitron’s HFS high frequency limit level sensor is designed to effortlessy detect the level of fluids or paste-like media while ignoring the influence of deposits of viscous media (ketchup, yogurt, pastes, syrups, jams and jellies, creams, soap) as well as products such as detergents, alkalis, or various chemicals. The sensor works in the high frequency band, enabling reliable detection of the level of media without interference from coating or build-up on the electrode. Applications: Ideal solution for viscous or sticky media such as ketchup, yogurt, syrups, creams or pastes, tar like materials, alkalis, etc.